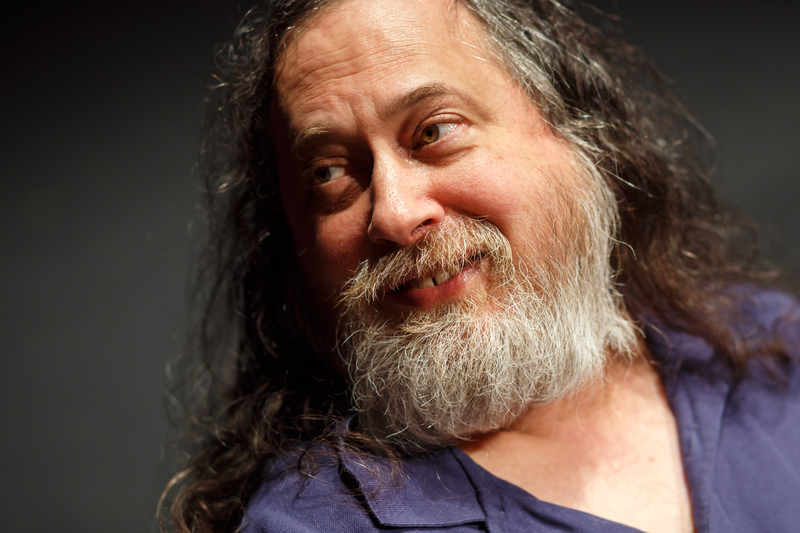 With just a few days left in 2016, here are some thoughts from Richard M. Stallman, President of the Free Software Foundation (FSF), on why people support the FSF and what we might be able to do next. Please make a donation to help us meet our fundraising goal of $450,000 by December 31st. With your gift, we can continue to push the frontiers of free software. I announced the plan to develop the GNU operating system in 1983. GNU was to be a Unix-compatible operating system for timeshared computers and for workstation computers. Not PCs, though, because the PCs of 1983 were not powerful enough to run such a system. Neither were laptops, of course. In 1992, when the kernel Linux was freed and filled the last gap in GNU, PCs had become more powerful. It was possible to run GNU on desktop PCs using Linux as the kernel. GNU/Linux in 1992 was "complete" in the sense that nothing essential was missing, but it was rudimentary in that many much-used proprietary applications had no free counterparts. Nowadays many of those applications have been replaced, but some are missing. Meanwhile, new theaters of computing have come to exist, and the work of liberating them remains ahead of us. All commercial mobile phones require proprietary software (in the modem processor that talks to the phone radio network) that has a universal back door: it can be changed remotely through the radio. It should be a felony to make such a product, but it isn't. With funds, the FSF could launch a campaign to make that practice a felony. With funds, the FSF could develop a mobile phone that encapsulates the modem processor so as to make the phone, in a limited sense, safe to use. With funds, the FSF could develop free software front ends to enable Internet users to talk to various important web services without running any nonfree software to do it. No users should trust those processors. With funds, the FSF could campaign to pressure those companies to give us a way to shut those back doors off. We also need to enforce the GNU General Public License (GNU GPL) against companies that regard its requirement to respect users' freedom as a nuisance. This too requires funds. Why do people support the FSF? Because they appreciate the importance of the freedom that we defend, for them and for everyone. However, since 1998 we have had to make an explicit effort to spread awareness of this issue. In that year, a corporate-funded campaign to disconnect free software from our ideas began to rebrand free software as "open source" so as to disconnect it from our ideas of right and wrong. People who don't understand how proprietary software denies them freedom may not see what there is to fight for. The FSF campaigns team spreads awareness of computing freedom. With more funds, we could hire additional staff to do more of this. Please support the FSF today. Donate and share this appeal with your friends. Photo: CC BY-SA 3.0, courtesy of the European Dialogues.